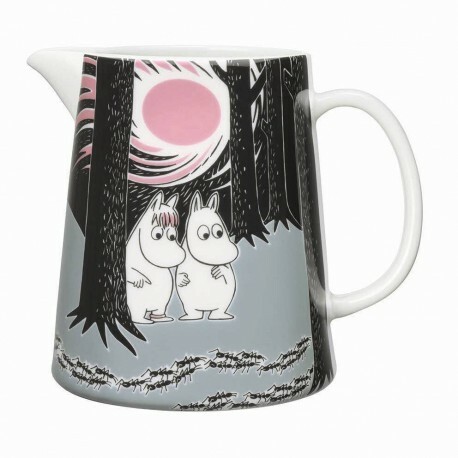 The Adventure Move pitcher by Arabia from 2013 features the famous motive from ”Moomintroll and the comet”. It’s designed by Tove Slotte. This stylish and cool pitcher will definetly bring something to the dinner table with its beautiful colors. Also see other parts of the Adventure Move series.